Recruiting is the lifeblood of a successful college program, and David Pierce knows it. Since the former Tulane skipper was hired as head coach of the Texas Longhorns, action on the recruiting trail is more active than it has been in years. AUSTIN — In the press conference introducing new Longhorn head baseball coach David Pierce, a variety of emotions filled the room. 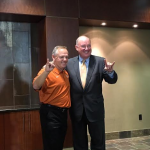 Athletic director Mike Perrin beamed with pride about the third revenue sport hire in as many years. 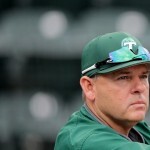 A Texas native who has spent most of his 27-year career coaching in the state, David Pierce has been named head baseball coach at The University of Texas, Men’s Athletics Director Mike Perrin announced Wednesday. 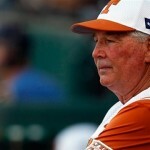 Pierce, just the fifth Longhorn head coach since 1911 (with the exception of the war years of 1943-45 when Blair Cherry was at the helm), is the 13th head coach in 122 years of Texas baseball. He will be introduced on Thursday at a news conference on the UT campus. Disappointing seasons sure are disappointing, especially when they come on the heels of another disappointing season. 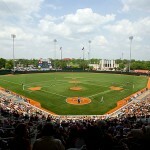 When four of the last five seasons have been disappointing for Texas Baseball, well, I think you get the picture. When I am perusing the board while hanging with my girlfriend, I’ll look at other schools coming into Texas and wonder out loud “how did that happen?” I’ll get her normal question of “what’s going on?” and one of the times led me to discussing national recruiting powers with her, and explaining why a school from thousands of miles away can come into Texas and take top prospects from under the noses of the Big 12 and lone SEC programs in the state. 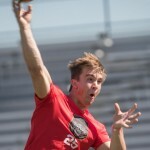 AUSTIN — Having pride in a program or organization is a good thing. However, when the only thing that instills pride is the organization itself rather than the product, there can be issues. AUSTIN — Mansfield defensive tackle Hassan Ridgeway was the only member of the Longhorns to declare early for the 2016 NFL Draft. 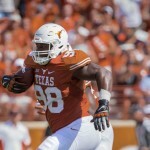 In the end, Ridgeway was the only Longhorn selected in the draft, going in the fourth round to the Indianapolis Colts with the 116th overall pick. I was able to catch up with a few players yesterday, but before I get into that, some interesting things that I was able to pick up during some down time. Trust me, there was a lot of down time. 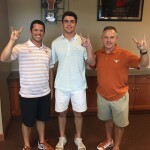 More on Reed, Ehlinger, and a man named Moses. With only one player committed on the defensive side of the ball for 2017 (Lagaryonn Carson), Texas still has a lot of work to do between now and signing day. Texas took one CB in the class of 2016 in Eric Cuffee, but he projects more as a nickel. They only took one possible CB in the last cycle due to the stellar class they took in 2015 of starters Holton Hill, Davante Davis, and backup Kris Boyd. Texas needs some numbers at this position for 2017, but the state does not have the deep selection it has in recent years. Texas currently has three offers out for running back for 2017, one to JK Dobbins (La Grange – Ohio State), one to Toneil Carter (Houston Langham Creek) and one to Najee Harris (Antioch [CA] – Alabama). With Texas looking to take around two running backs this class, there are decent amount of options to look at in state. 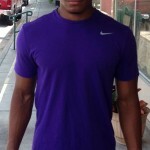 Strong prefers the bigger, D’Onta Foreman type back, but that type of back isn’t littered across the state this cycle. 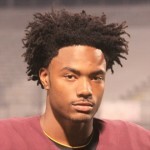 Even so, lets take a look at the two in state offers, and some more from Eric’s Top 10 list.